I have a wonderful Christmas sewing project to share with all of you today! Subway art is still all the rage. 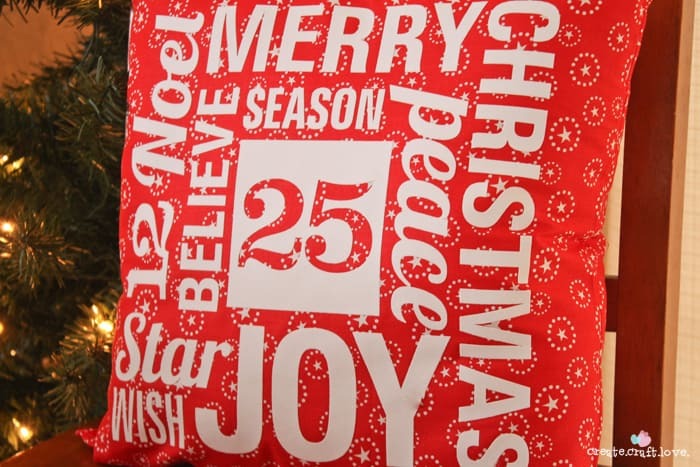 Using some heat transfer vinyl and beautiful Christmas fabric, I created this Christmas Subway Art Throw Pillow! 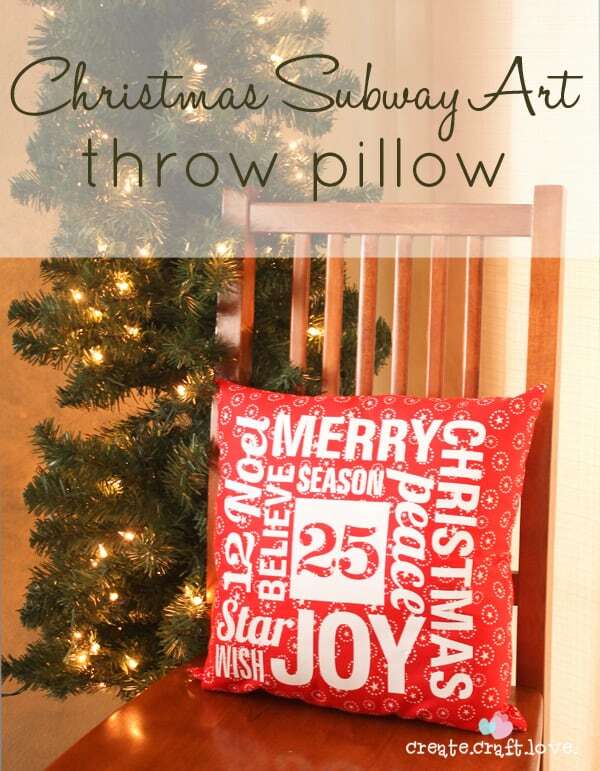 Wanna make your own Christmas Subway Art Throw Pillow? 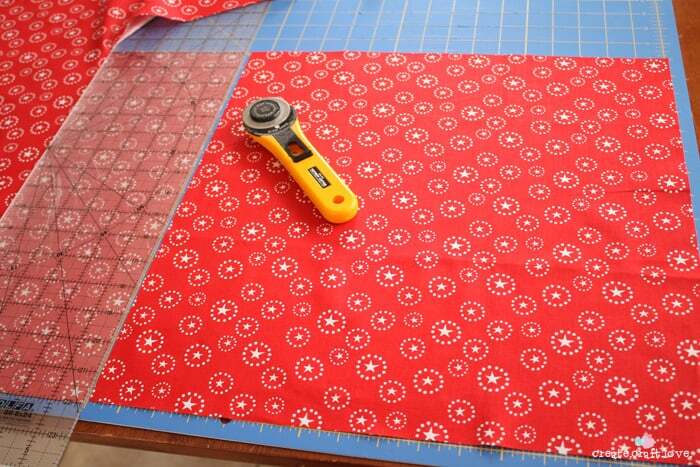 Begin by ironing your fabric and cutting it into two 16 inch squares. Place the two squares right sides together and pin together around the edges. 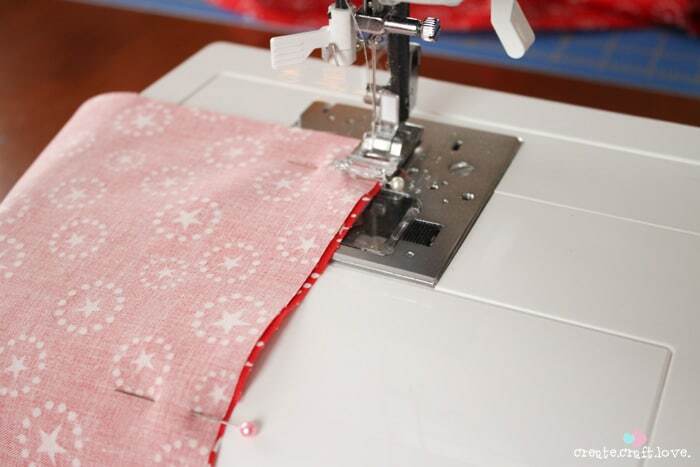 Be sure to leave an opening to turn right side out when you are finished sewing. 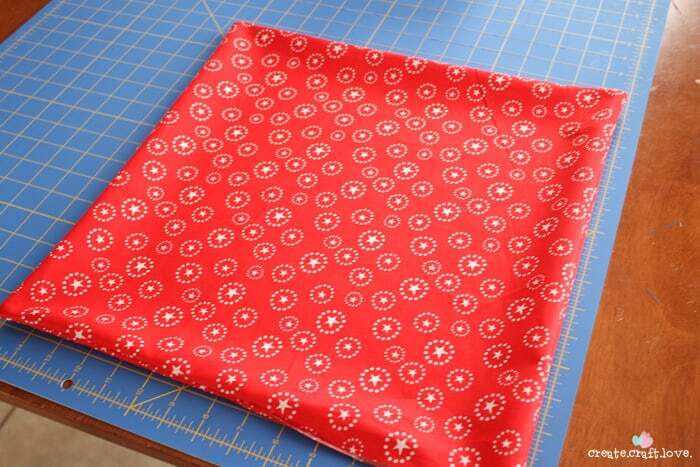 Using a 1/4 inch seam allowance, sew the two squares together. Back stitch at the beginning and at the edge of the opening. Again, leave enough not sewn to be able to turn it right side out. I chose Design ID #35080 to use for the subway art. 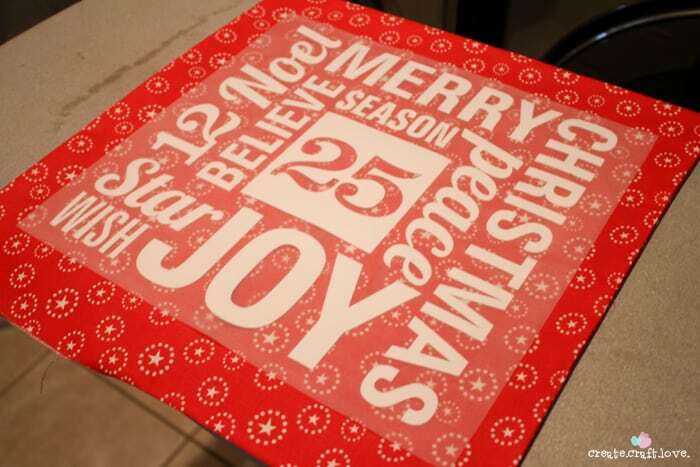 Using your Silhouette Cameo, format the image to be 12 inches by 12 inches. Flip the image horizontally so it is a mirrored image of the original. 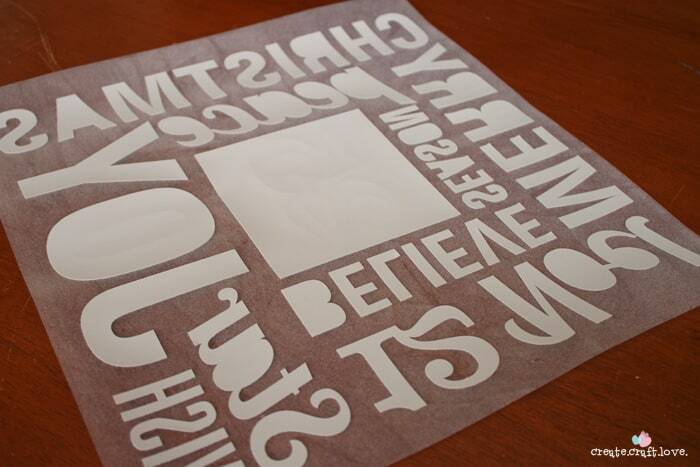 Placing the heat transfer vinyl shiny side down, cut out the image. Remove the negative space and weed out the middles of the letters. Center the image shiny side up on the front of your pillow. 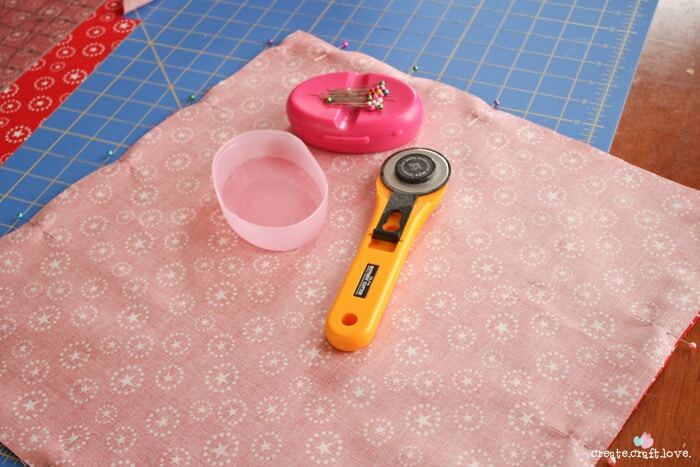 Place a thin piece of fabric over the top and iron in place. Be sure to follow the instructions for your heat transfer vinyl for iron settings and duration of ironing. Once all of the letters have adhered to the fabric, slowly peel away the clear sheet. Stuff with Polyfil and sew shut using a hidden stitch. I am in love with this pillow! It’s super cute and trendy!